Cloud Compatibility is Almost Here! First and most importantly, thanks for your patience as we continue to work through the issues associated with getting cloud support released for the N3RD. When we kicked off this project we had arranged for two outside developers to develop apps for us. One was dedicated to iOS and one dedicated to Android. Working with two developers was painful, and what we thought would allow faster time to market due to parallel paths ended up costing us time as each system had their own quirks and idiosyncrasies and managing two developers towards a common user experience was bigger than anticipated. Then our iOS developer informed us that he wouldn’t be able to complete our project as he had another commitment and our project was running too long. Our Android developer was able to step up and complete the iOS app and the Android app for the initial release, but became overwhelmed while trying to implement cloud support in both Android and iOS going forward. Couple that with the firmware updates and Wi-Fi module issues we were working on and it was difficult to develop quickly as our feedback loop was quite long. Finally we decided that we had to make a change. About a month ago we hired a full time developer to help us get past this hurdle. He is in the office now and has gotten up to speed with our cloud provider and is working to finalize the implementation in Android. Our goal is to have that released by the end of the year. We will follow up with the iOS version as quickly as we can after Android is done, but don’t want to estimate a time until our developer can get in and look through the existing code. Please know that we are committed to getting the cloud functionality released and in your hands as quickly as we can. Thanks and have a Happy (N3RDY) Thanksgiving! We're happy to announce that all current Kickstarter rewards and pre-orders have shipped! Thank you so much for supporting us! We can't wait to see what you will do with YOUR N3RD! The sample has been approved and the Tool is being prepared for production. 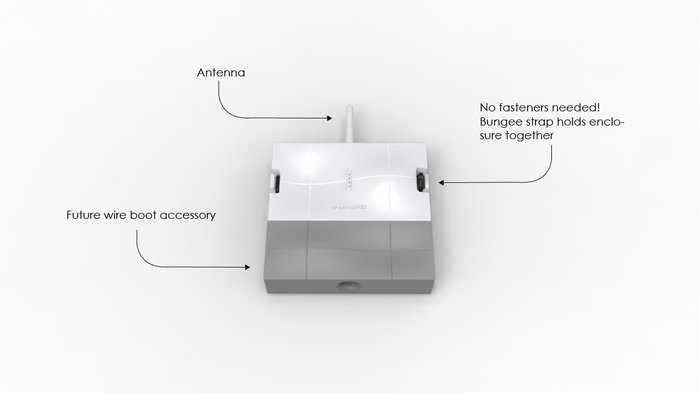 Mass production will start immediately and we anticipate receiving the enclosures within a few weeks. We will then work diligently to get N3RD's out to our customers by X-Mas! 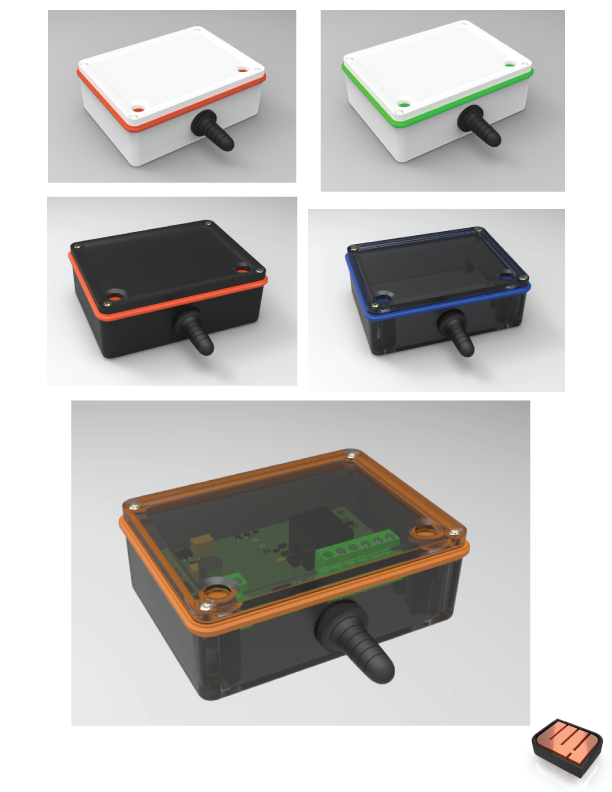 We received the "first off tool" enclosure samples this week and they look great! After evaluation, we decided to make a slight modification to the Gasket and Strain Relief to improve the seal. We're currently working with our factory, and hope to see new samples in about a week. Here are some pictures of the enclosure (the color will change on the production pieces). As the IC's come in we continue to add them to the PCB Assemblies. We'll have another update posted soon. Thanks! We're expecting to see the pilot enclosure samples the first of next week, and will post another update soon. Have a great weekend! We're hard at work and will post another update next week with our progress. Thanks to all of our backers! Okay, here is the update we have been hoping to avoid... Production units will not be shipping in July. While doing our final testing of the Hardware we discovered an over-heating issue with one of the Voltage regulators. The simple fix would have been just to add a Heat-sink to the regulator... but we just weren't comfortable with this solution. The problem arises only when the supply voltage is close to it's maximum allowable voltage (24VAC). All other common voltages such as USB (5VDC) and Automotive (12VDC) and even our supplied Transformer (220-110VAC to 12VDC) works just fine. However, we foresee many applications in the Residential and Commercial HVAC Industry which commonly uses 24VAC. It is at this voltage when both relays are active for an extended time that we start to see a potential problem. The regulator has a thermal protection circuit that will shut-down the N3RD if the temperature exceeds it's maximum threshold. This safety feature is Great unless you are using your N3RD during this shut-down. We decided to go back to one of our prior designs that utilizes a regulated switching power supply. This circuit is much more costly, however, it allows a far superior solution than just trying to "cool" down the existing circuit. With the Switching Power Supply design, we never have to worry about a thermal shut-down even with continuous use. Since we now needed to re-layout the PCB for the new Power Supply Design we decided that it was a good time to make a change to the Microprocessor. Our current microprocessor is just fine however, with all the new features and advancements we have made to the App and with the Cloud integration coming we were nearing the maximum capacity of the on-board memory... in other words, we were running out of code space. We have been able to optimize our code so that everything fits fine now, but we want to make sure that we have a little extra headroom for any future upgrades that might be needed. We have diligently worked to avoid any delays to our Production Schedule. We already have the new Power Supply integrated and have built and fully tested pre-production units (and they work Great!). However, there has been a delay in procuring enough of the new microprocessors for the Production run. We already had the previous microprocessors in stock and was assured by the factory that the model with more RAM was not an issue to get. This was not the case and we are scrambling to attain enough of the new microprocessors from various vendors to fulfill our production numbers. As of today, we have confirmation that these parts will arrive on 8/29/2014. In addition, we have had to make a slight modification to our enclosure Tooling that has moved the receipt of the enclosures to mid September. We will continue to push to make improvements on these deliveries but at this time expect to ship Production units towards the middle to end of September. We sincerely Apologize for these delays. We hope that our decisions resulting in these delays are understood as we sincerely feel that the major improvements we are implementing will make this delay well worth the wait. Production should be kicking off very shortly now that we have the enclosure design complete. All parts have been procured and are arriving daily. We are now in the process of panelizing the PCB so that we can efficiently run production. After this is complete we will order the Stencil for the Solder paste and start the programming and setup of our SMT Machine for part placement. Android App- Very Good progress has happened here. We have been able to Beta-Test the software and we are receiving updated versions on a regular basis from the Developer. We anticipate being able to send Beta Software to our Backers within the next couple of weeks for some additional Testing and Feedback. iOS App- The iOS App has taken a major over-haul and will be packed full of additional features not found in the current App. Apple doesn't make it as easy to provide Beta Test Software so most of this de-bugging will be done "In-House". Cloud Integration- As mentioned previously, this has been by far our biggest challenge. However, we are very happy with the progress we have made and believe that most of the big obstacles are behind us. We fully anticipate having Cloud Integration implemented by Production. We are on Track for a Production Delivery of Late July. Our Biggest hurdle is getting the Enclosure Tooling in time. The last minute changes we made has thrown off the original schedule but we feel that the added features made it worth the risk. We are confident we can make up this time and will continue to push our Tooling Vendor. We will continue to keep our Backer's updated if we see any potential slippage in the schedule. Help us Reach Cloud Integration!!! Buy 5 or more My N3RDs and get 15% off of your total purchase! We are offering this special deal to our Backers in a last push effort to reach our Cloud Stretch Goal. We have also reduced the goal to $100k. No matter what happens, we are committed to creating Cloud Support for My N3RD. However, If we can reach our stretch goal by the end of the campaign, we can bring on the additional resources to have Cloud Support for My N3RD ready by Production. 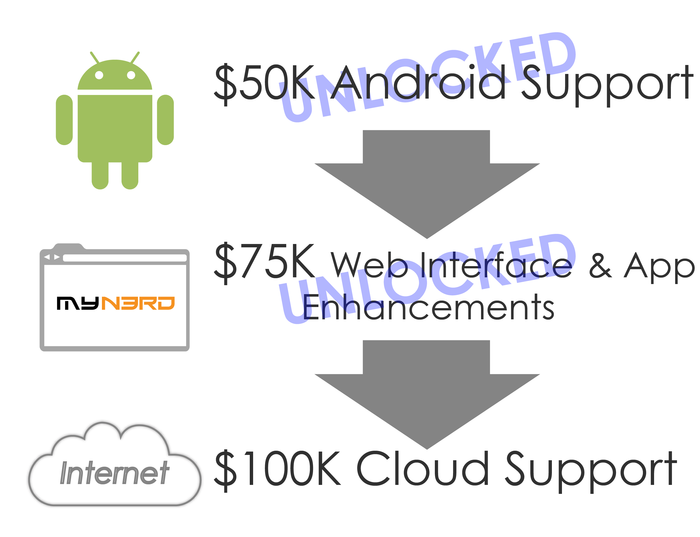 Help us spread the word and reach our Cloud Stretch Goal! Order 5 or more My N3RDs (these can be beta or production units, with or without +5db antenna and in any combination) Then take 15% off of the total price (not including shipping). Here's an example, for an order of 5 production My N3RDs take 5 x $75 = $375, then multiply x .15 = $56.25 now subtract this amount from the original $375 for a new total of $318.75. (don't forget to add $30 for International Shipping). To adjust your pledge go to Backer history under Account. Then Click on My N3RD and next click theedit button next to the amount pledged. Type in the new amount. Introducing the new My N3RD Concept Design! We have had several inquiries on ordering multiple My N3RDs. If you have already pledged all you need to do is update the amount to reflect how many My N3RDs you want. For example if you want two $75 My N3RD production models you would change your pledge to $150. 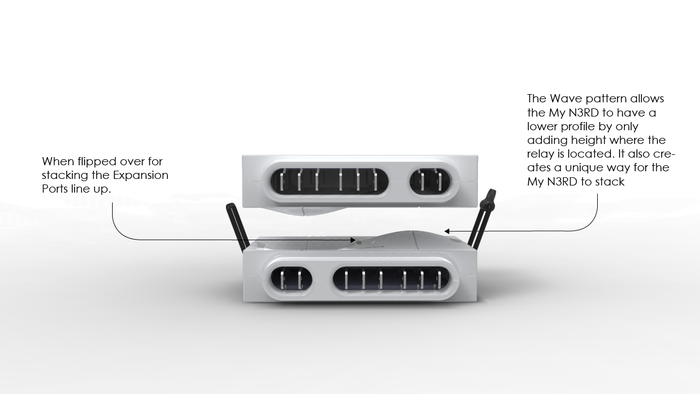 Use the MyN3rd iOS or Android App with your My N3rd Device and Control Anything, Anywhere Wirelessly!